The black SD1SM SolidDrive Sound Transducer for Wood / Porous installation from SoundTube Entertainment utilizes dual-voice coil technology in an aluminum enclosure to transfer acoustic energy to any substrate. Symmetrically opposed neodymium magnets and specifically engineered mounting hardware results in hidden planar-source acoustics. The result is acoustical uniformity throughout the listening space. 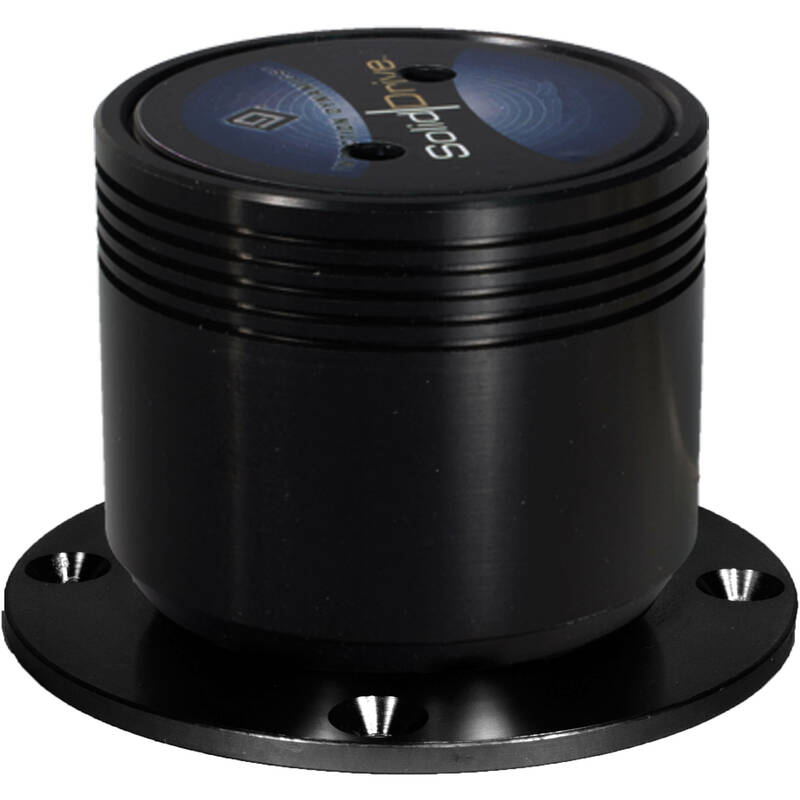 This sound transducer is designed for mounting on wood or porous surfaces, and comes with a direct-Screw aluminum mounting base and a direct screw aluminum mounting base and an attached wiring harness with EuroStyle connector. The SD1SM Sound Transducer is suitable for use at restaurants, mall stores, auto dealerships, department stores, stadium sky boxes, reception areas, and glass atriums. Note: To ensure optimal listening experience, the installer must equalize the SolidDrive SD1 System. Equalization is accomplished by using the SolidDrive Wood Passive Equalization Module (sold separately).